As I wrote last June, the first version of DayTickler (the one that we will officially published in the app store) must be a lovable and marketable product. Because we aim at validating if a product/market fit is obtained, we must avoid publishing a prototype. The right product is a product that does what we imagined, but it is design so it has what customers really want and need in a form that is easy to use and atheistically pleasing. In order words, the right product is a product that is built “right” or at least “right enough”. Therefore, in June and July, we continued to validate our design with prototypes. As always, we are learning to be humble. Obviously, some of our assumptions were wrong. We found serious problems with the user experience. At such a point that we spent the last month redesigning our application. The good news is that our recent prototype tests are conclusive. We are on the right track. When will you have access to DayTickler in the app store? Not until November. 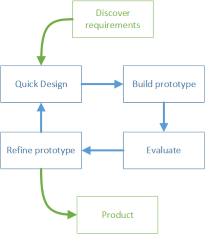 We must build the product “right” and to reach that goal we need to do more usability testing. Categories: DayTickler, Design | Permalink. I have already written in the past on the importance of continuous education. Several training options are available. Among my favorite options, some cost a few dollars a month like Pluralsight and some are free like Microsoft Virtual Academy. With the launch of Windows 10 and Visual Studio 2015 tool, now it’s time to update your knowledge. On this site you will not only find learning resources, but also everything to create your next Windows 10 apps. Categories: Lifestyle, Universal Windows Platform | Tags: Training | Permalink.